The phone interview is really a chance for you to make a great first impression, and here's how. Let me tell you about a hiring technique we used to use at a company I worked for. This was well before the days of monster.com or craigslist, so what we would do is place classified ads in local newspapers. We were looking for inside salespeople. "We don't care if you went to college or not, and we don't even want to see your resume. To apply, please call this voicemail number and tell us why we should hire you." This was a great strategy because we were hiring phone sales people. If they couldn’t sell themselves over the phone, then how could we expect them to be successful selling for us? What was most interesting — and most relevant to your phone interview — is how quickly we could pick out the good candidates from the bad. It was pretty obvious. We would sit there listen to all the messages, back to back. "THEY STARTED OUT REALLY STRONG, ENTHUSIASTICALLY INTRODUCING THEMSELVES ... and then they would describe their experience ... then their voice would get lower and softer ... then they would kind of fade out and trail off and finish the message ..."
The difference between the start of the message and the end of the message was night and day. This was a clear pattern in the many messages we reviewed. Even some of the people with good experience trailed off and faded out. Your telephone interview is like a performance. Stand up, and smile. Seriously. There is a reason why they called it "smiling and dialing" when I was in sales. Your smile translates through your voice over the phone. Some of my sales guys even used a mirror mounted in their cubicle, or on their desk, so they could evaluate their own expression and make sure they were smiling. This is an oldschool technique and I think it still applies today for phone interviews. Try it. Try to speak from your diaphragm. Puff your chest out a little bit. Speak with boldness and dignity — as much as suits your personality. Remember, they WANT you to be likable. They WANT you to sound like you have something to say. Speak with confidence. Smile! Whether you are standing up or sitting down, maintain the the same tone and the same relative volume level. Don't "trail off" like so many of our applicants did in their voicemail messages. Emphasize your accomplishments with emotion. A guy called Dr. Albert Mehrabian at UCLA discovered through his research that face-to-face communication is 38% tone of voice. Since voice is the only channel when you interview over the phone, the way you say it (your tone) then has five times more emotional impact than the actual words you say. Try to put some passion behind what you are saying. If you speak quickly, the listener will have to pay attention to stay with you. They’re less likely to zone you out and start checking their facebook or something — you don’t want that. Also, you’ll transmit more energy and enthusiasm if you speak a bit faster and a bit louder than you are accustomed to. Try to speak a little louder than your normally might. If you’re going to speak quickly, remember to use pauses. It will give them a chance to soak up what you said. You can also use pauses to draw attention to your important points. Highlight a particularly important phrase (for example, an accomplishments from your work experience) by pausing dramatically … and then repeating it again more slowly and with more emphasis. — Don’t “trail off” during your telephone interview. 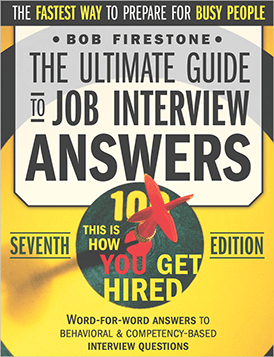 Start and keep your tone and delivery strong and reasonably quick, from the start of the interview through to the end. — Smile! Try using a mirror. I also suggest you do the call standing up most of the time.